Those who have read Frederick Forsyth, would sure have understood by now. The Vampire pilot, going home on a Christmas Eve 1957, whose aircraft suffers a complete electrical failure en route. Lost in fog and low on fuel, he is met and guided (shepherded) to a disused RAF dispersal field by the angel pilot of another fighter-bomber of World War II vintage, who apparently has been sent up to guide him in. The Vampire pilot, some time after he lands at the airfield learns that his saviour was Johnny Kavanagh, a wartime RAF pilot who had been stationed at Minton (fictional) and who used to guide crippled bombers home. To his utmost bewilderment and surprise, the Vampire pilot also learns that Kavanagh disappeared over the North Sea in his Mosquito on his last mission, on Christmas Eve 1943, exactly fourteen years before this rescue. Arjan Singh is indeed the proverbial Shepherd from Frederick’s thriller, leading and guiding the Indian Air Force during the most crucial period in history. Marshal of the Indian Air Force Arjan Singh, DFC was entrusted with the responsibility of leading the Indian Air Force just before the 1965 war, when he was only 44 years old, a responsibility he carried with grace and elan. Today evening at 1947 hours, The Marshal of the Indian Air Force Arjan Singh breathed his last at the Army Hospital (R&R), New Delhi. He was 98. He was admitted to the hospital today morning following a cardiac arrest. He was being treated at the Cardiothoracic and Vascular Sciences Centre of the hospital. 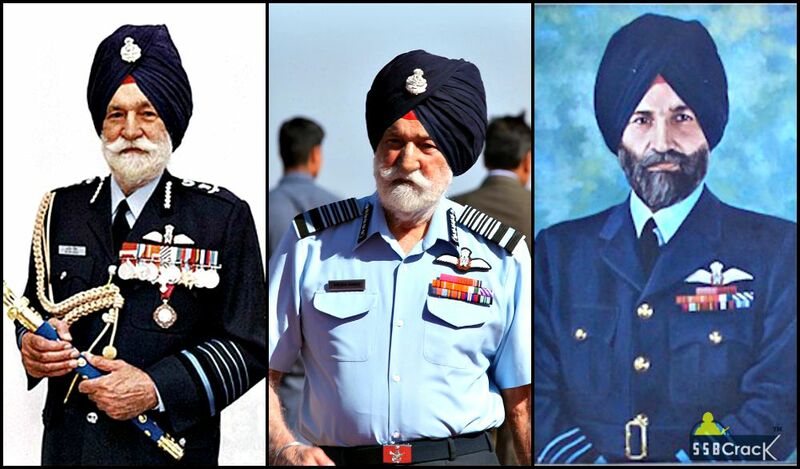 In recognition of his services, the Government of India conferred the rank of the Marshal of the Air Force onto Arjan Singh in January 2002 making him the first and the only ‘Five Star’ rank officer of the Indian Air Force. In 2016 Air Force Station, Panagarh was renamed as Air Force Station Arjan Singh. Arjan Singh’s demise enables him to metamorphise into a legend that India will proudly remember in all times to come. Next articleWhy should we ‘FALL’ and not ‘RISE’ in Love?